Automated Electrified Monorail System (EMS) Lines contain the components needed to manufacture, assemble, test and distribute various equipment. 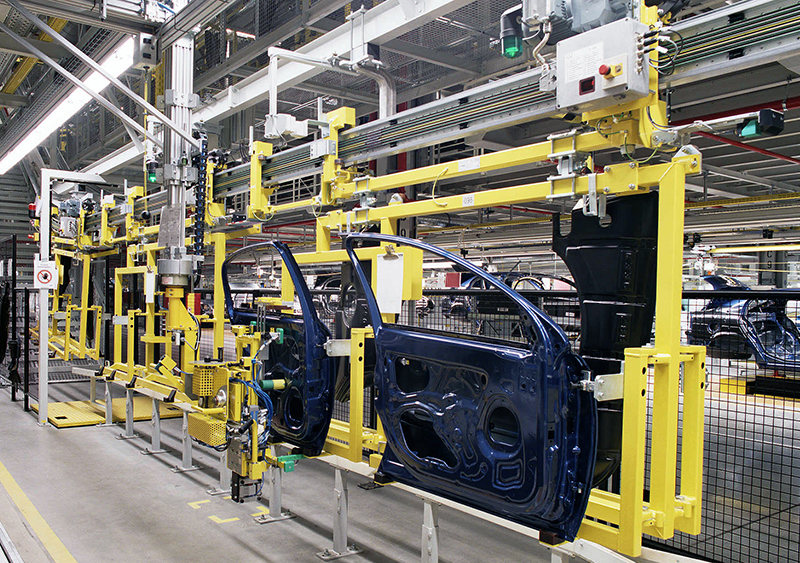 Consumer, medical, industrial and automotive companies use EMS lines in their production facilities. Depending upon the application, various quality standards and regulatory requirements must be met. VAHLE offers dependable solutions for your EMS lines including conductor bar systems for power, SMG for data communication, APOS, an absolute position system and our VAHLE-DETO integrated systems. We offer over 100 years of knowledge and expertise to ensure your EMS lines are up and running when needed. Contact us today to learn how we can help improve efficiency and lower cost for your automated electrified monorail system.